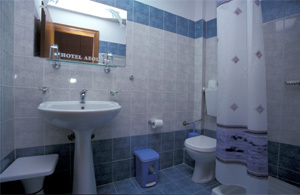 Modern, trendy, fully renovated and refurbished, Aeolos Hotel has become one of the hot spots of Skopelos !! One of the best hotels in Skopelos thanks to its premier location, the Hotel Aeolos stands opposite Skopelos harbour by the sea side and commands spectacular vistas of the town and Aegean. This nice, small hotel is very popular and is open from May until October. 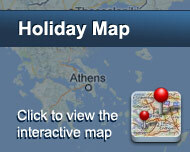 Aeolos Hotel is situated next to the beach of Skopelos and the archaelogical place of the ancient Peparithos Asklipio. There are 39 rooms and 3 suites which are designated for their spaciousness, comfort and impeccable function. In all the rooms and suites there is: air - condition, refrigerator, Mini Bar, T.V, telephone , access to the internet and hair - dryer. Large verandas with a view to the main village of Skopelos and the sea. Aeolos hotel offers high-standard services as 24h serving, safety boxes, room service as well as renting cars and motor-cycles according to your request. The hotel has also a swimming pool, a breakfast room and a snack bar. Είστε ιδιοκτήτης ή διευθυντής στο AEOLOS; Εγγραφείτε τώρα για δωρεάν εργαλεία, που μπορείτε να χρησιμοποιήσετε για να βελτιώσετε την καταχώρησή σας και να συνδέσετε την ιστοσελίδα σας και το σύστημα κρατήσεών σας.